Have you been on the hunt for a new vehicle? Let's say that you find the perfect car tomorrow – would you have everything you need on hand to be able to purchase it? Before you get caught up in the dream of driving off into the sunset in your ideal vehicle, check out this list of what you should know or have on hand before you go test-drive that vehicle you've had your eye on. Your driver's license: Everyone probably has this already if they are driving anywhere, but dealerships just need a proper form of identification to begin the purchasing process. However, there is a chance that the dealership might already have your license on file if you've taken the vehicle for a test-drive. Your Social Security number: If you happen to not know it by heart already, bring your social security card along as well. Even if you are buying the vehicle outright -- without any financing -- the dealer will still need your Social for tax purposes. Nearly all financial transactions valued at over $10,000 are required to be reported to the IRS. Proof of car insurance: You can't buy a car without this fundamental piece of paper. There are laws in all 50 states requiring drivers to have some kind of insurance because it protects everyone on the road. Your wallet: You'll have to pay for this vehicle somehow, whether through financing, cash, cashier's check or credit card. There are many options to pay these days, and depending on how much your car is worth, you need to know in advance how you plan to pay for it. Keep in mind that when leasing, you'll normally have to make some kind of a down payment. Proof of employment, residence and salary: Depending on your credit rating, you might need to bring these things with you. A trade-in appraisal: Usually you'll have your appraisal performed at the dealership that you're trading it in to, and often they'll be good for up to three days. 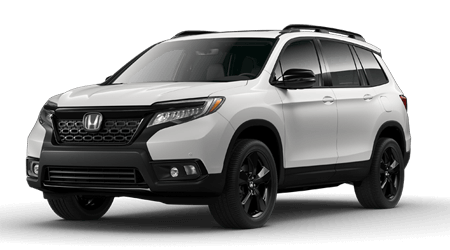 If you're interested finding out more about becoming the proud owner of any of our new vehicles, contact us now, or stop by our dealership at 4190 W Andrew Johnson Hwy, Morristown TN, 37814. We're proud to serve our customers from Morristown, TN and the greater Knoxville, TN area.